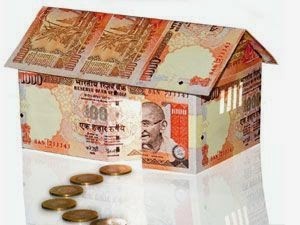 Home > World Days - April > Akshaya Tritiya - The Best Of Times To Buy A House..
Akshaya Tritiya - The Best Of Times To Buy A House..
Akshaya Tritiya is one of those days in the year where one stands to benefit significantly from every new acquisition. And this day has been associated with the buying of gold and property since ancient times. Akshaya literally means ‘endless’. According to Hindu mythology, Akshaya Tritiya is one of three days in the Hindu calendar when one does not need an exact muhurat to start something auspicious. Each moment of this day is considered propitious. For believers, there could be no better alternative. The Religious Significance Of Akshaya Tritiya..! Several important moments and incidents described in Hindu mythology made Akshaya Tritiya one of the most culturally significant dates. · It is on this day that Kubera, the custodian of Goddess Laxmi’s wealth and property, received this position. All of the above suggest that Akshaya Tritiya is a divine day for the start of any activities, most especially investments and business ventures. Property brought on this day brings with it the assurance of non-diminishing (‘akshaya’) good fortune. Apart from the fact that a home is a new beginning to life, family and career, purchasing a property on Akshaya Tritiya has both spiritual and practical significance. Not only do new homeowners want to take such a significant step in their life on a day of such holy occasion, but Akshaya Tritiya also presents the best opportunity to move in to a new home. This is the start of summer, when the schools close for the summer vacations, and there is practically a month in hand during which one can comfortably shift from the old residence to the new one. In other words, this period is unlike any other part of the year, and makes complete sense when it comes to real estate purchase. Needless to say, the property market is kept quite busy during Akshaya Tritiya. 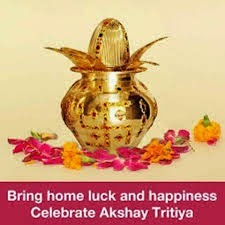 This year 2015 , Akshaya Tritiya falls on 21st of April, both and Indian tradition and the many good deals available in this period indicate that there cannot be a better time to buy a home. Mr. Arvind Jain is Managing Director of The Pride Group , a world-class property development conglomerate that is changing the cityscapes of Pune, Mumbai and Bangalore. Established in 1996, Pride Group has built and delivered over 10 million sq.ft. of constructed area. Pride Group has recently launched Pride World City , the 400-acre luxury mega-township at Charoli, Pune.